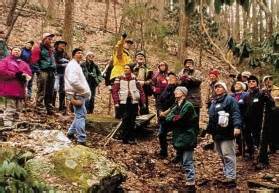 Wilderness Wildlife Week was created to enjoy and educate the public on the wonders of Great Smoky Mountains National Park. 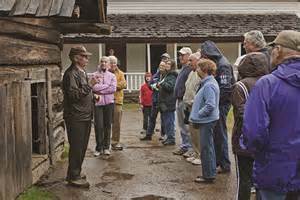 It's a week of walks, talks, workshops, and hands-on experiences that explore the natural and cultural history of the Smoky Mountains. Wilderness Wildlife Week is the ultimate Smoky Mountain experience! This series of free activities over eight days is designed to connect Pigeon Forge visitors with the great outdoors. Throughout the week, you'll learn from experts who share their knowledge of the outdoors during more than dozens of seminars, lectures and hands-on workshops. Get close to nature with your choice of guided walks and hikes designed for all levels of expertise. Wilderness Wildlife Week offers activities for all ages and brings thousands of nature lovers to Pigeon Forge each year. The International Festivals & Events Association has recognized the event for its environmental and educational efforts.